This is Personalized Care. Holistic. Comprehensive. Accessible. Transparent. Relaxed Visits. The Time You Need. A Simple, Clear Relationship Between You and Your Doctor - Removing the "Middle Man." Together, We, not your health insurance, get to decide what is right for you. *All memberships are on an annual contract with monthly payments available. Discounts on future webinars, class series, etc. Foundation & Flourish Plans are available for adults and children (0-18 years old). Sign up & receive $5 off / month for each of your additional family members with either plan, regardless of age. Q: Do your plans serve as health insurance? A: No. The plans do not provide comprehensive health insurance coverage. 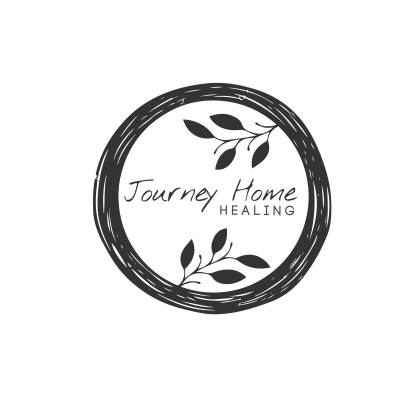 While Journey Home Healing plans can cover 90% of your healthcare needs, you are always encouraged to have at least catastrophic coverage for high level health interventions, specialists and imaging, should they ever be needed. Q: Does my health insurance cover your services? portion of your monthly membership fee. Q: I have insurance, shouldnt I be able to use it? A: What are you receiving for your health insurance covereage? What is the quality of care like from your "in-network" providers? How much is your deductible? How much care and coverage do you actually receive? Health insurance was never meant to cover primary / general care needs. Consider auto insurance for a moment... does your auto insurance cover oil changes or gas? No. It is there in case anything catastrophic occurs. The maintenance is up to you. What kind of maintenance do you want to receive in order to prevent "break downs" later on in life? Q: Can I pay for an entire year at once? A: Yes. If you pay in advance for an entire year, we will place the funds in a trust account and we will debit the monthly dues each month. You can also simply pay monthly. Q: Does Naturopathic Direct Care meet the requirements for the Affordable Care Act (ACA; Obamacare)? A: No. You need to have ancillary insurance that meets the requirements for minimum essential coverage. Q: Is there regulation regarding Direct Care practices? Q: Doesn't a "membership practice" seem impersonal, or even elitist? A: Having a membership to a medical practice creates a sense of belonging to community, much like membership to a gym, or yoga studio. My experience working in a membership-based practice is that it can create a sense of ownershsip and belonging, as well as creating accessibility and ease to seeing your doctor, which feels very warm and personal. The cost of an annual membership is very likely less than your health insurance deductible for the entire year. Direct care is designed to create accessibility for everyone.